In one of his letters to George Calvert, Edward Wynne described briefly his efforts to make Avalon secure from attack. He mentioned "a wall defense to the waterside ward" built up from earth that he and his 11 original settlers dug from the cellar and kitchen room. Further, he related that he had enclosed some four acres in a "palizado" made from "posts and rails and trees seven feet tall and sharpened at the top, fastened with nails and spikes." Parts of these defenses have been found along the eastern edge of the original Colony of Avalon; they are, surprisingly, more extensive that Captain Wynne's letters indicate. The ditch, constructed around 1622, was part of the Colony of Avalon's defenses. 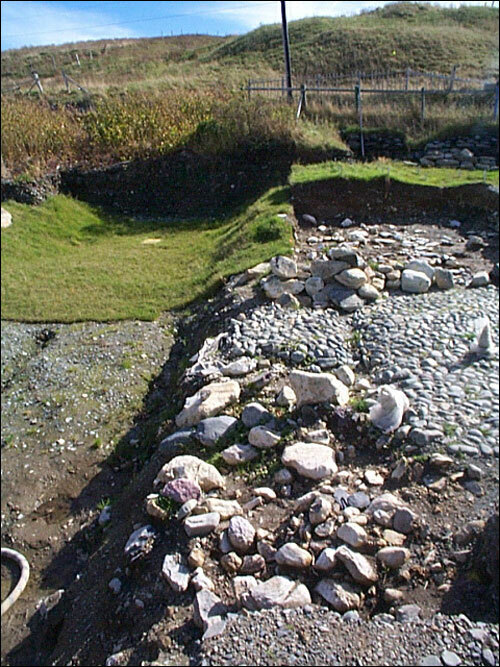 Earth from this excavation was thrown up into a rampart of approximately the same dimensions inside the ditch. 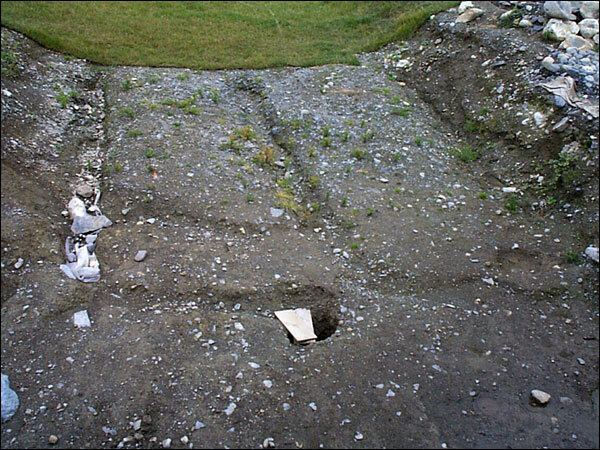 In places the outside edge of the ditch and the interior face of the rampart were faced with stone. On the edge of the rampart nearest the ditch, traces of horizontal timbers that might be sills for the posts of the "palizado" have been found; other large posts and rails in the ditch itself may be part of the fortifications. Excavations also revealed the location of the eastern gateway to Avalon, leading to the Downs, where agriculture and husbandry were practiced. The gateway leads directly eastward from the cobblestone street that ran through the settlement. The cobblestone street met the ditch at the eastern gateway to the downs. 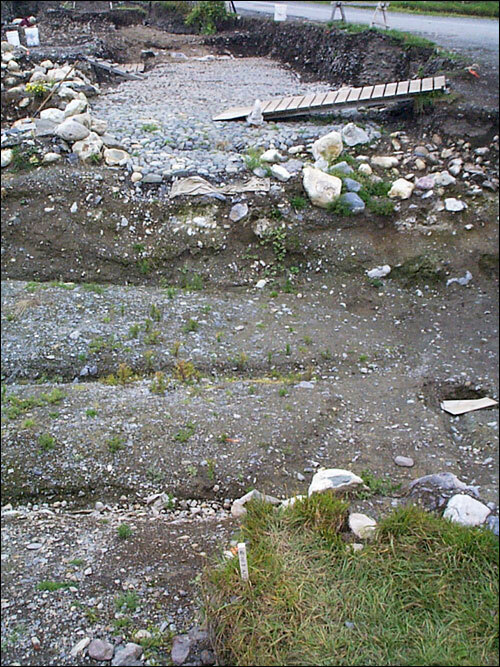 Water-saturated conditions in the bottom of the ditch preserved three squared timber bridge sills with the mortises for the upright supports still clearly visible. Whether the bridge was stationary, or some sort of drawbridge cannot yet be determined; likewise, no trace of a gate has yet been found. At the southeast corner of the original settlement a large earth bastion probably mounted some of the three guns requested by Captain Wynne. Excavations have not reached the earliest layer of fortifications in this area, but have revealed traces of a palisade built by Captain William Holman when he renewed the fortifications of Ferryland in 1694. Holman's efforts were successful in beating off a French attack in the following year, but were no match for the 750 troops in a dozen ships that arrived with de Brouillan the following October. Painting by David Webber. Reproduced by permission of the Colony of Avalon Foundation, Ferryland, NL. ©1998. 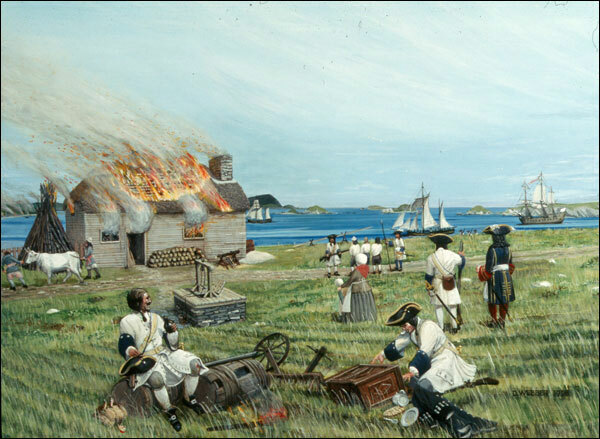 At that time the place was sacked, burned and the residents either transported to England or held at Placentia, presumably for ransom. The winter of 1696/97 was the only time since 1621 that Ferryland was not occupied by Europeans. Updated: July 2013, March 2017.